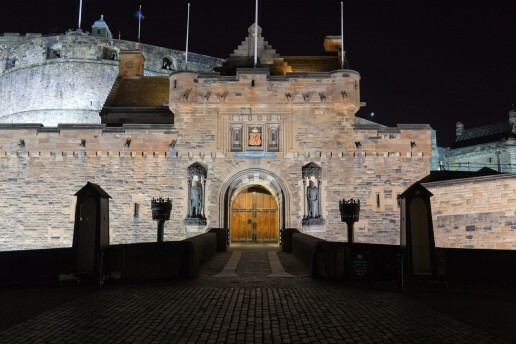 Dating back to the 12th Century, Edinburgh Castle is steeped in Scotland’s history of battle and war. 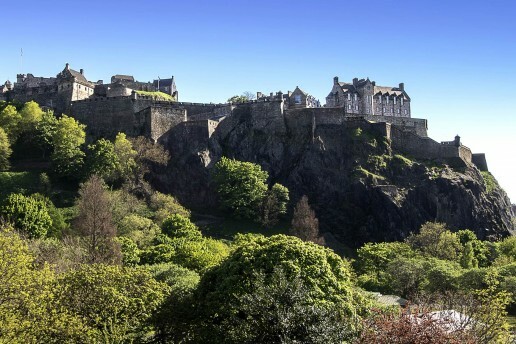 An icon for Scotland, the Castle has become Edinburgh’s premier tourist and visitor attraction, perched high above the city at the west end of The Royal Mile the fortress and battlements are visible for miles. There is a great deal to entertain the visitor including the Crown Jewels of Scotland, Stone of Destiny, and events. Of special note is Scotland’s National War Museum exhibits tracing Scotland’s military history from 17th-century to present day. Audio tours guide you round the castle architecture, history and famous artillery pieces including the One O’Clock Gun which is fired every day, except Sunday at 1pm. The Castle hosts many events and historic re-enactments throughout the year. 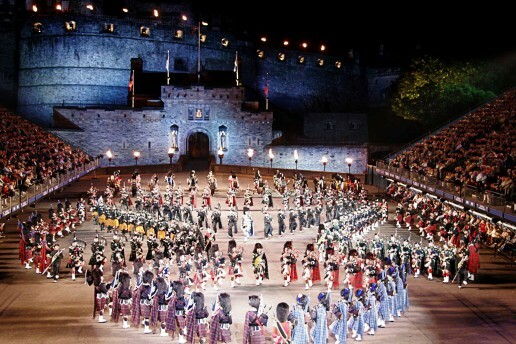 During August the Castle presents The Royal Edinburgh Military Tattoo which is a world renowned spectacle that has to be experienced.